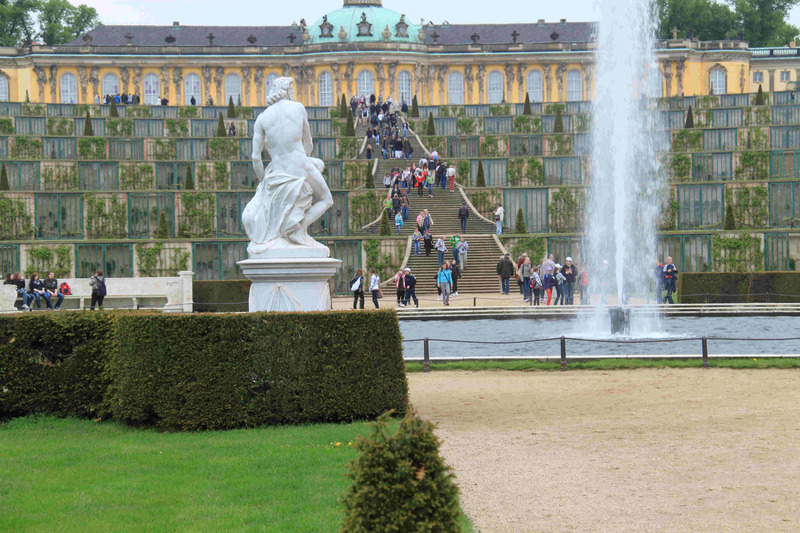 Sanssouci Park is a large park surrounding Sanssouci Palace in Potsdam, Germany. Following the terracing of the vineyard and the completion of the palace, the surroundings were included in the structure. 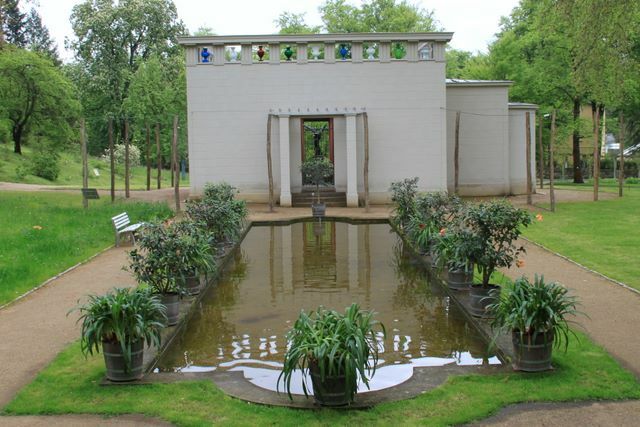 A baroque flower garden with lawns, flower beds, hedges and trees was created. In the hedge quarter 3,000 fruit trees were planted. The greenhouses of the numerous nurseries contained oranges, melons, peaches and bananas. 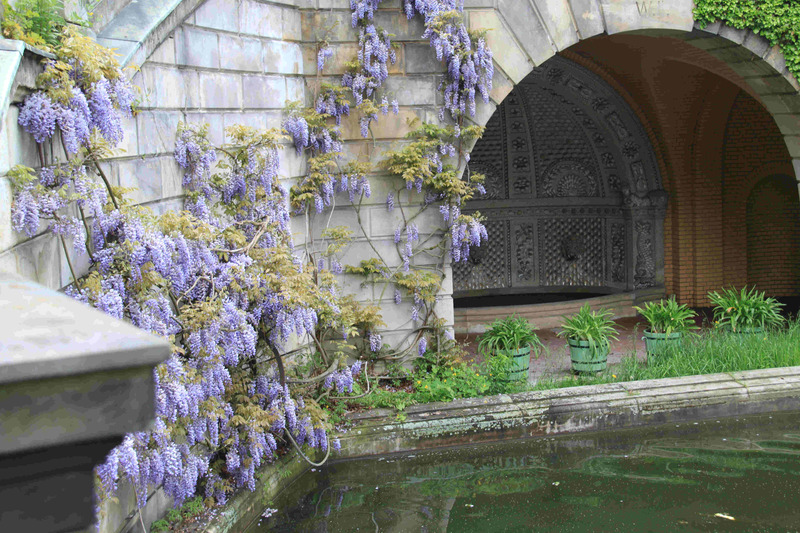 The goddesses Flora and Pomona, who decorate the entrance obelisk at the eastern park exit, were placed there to highlight the connection of a flower, fruit and vegetable garden. With the expansion of the site after the creation of more buildings, a 2.5 km long straight main avenue was built. It began in the east at the 1748 obelisk and over the years was extended all the way to the New Palace, which marks its end in the west. In 1764 the picture gallery was constructed, followed by the New Chambers in 1774. 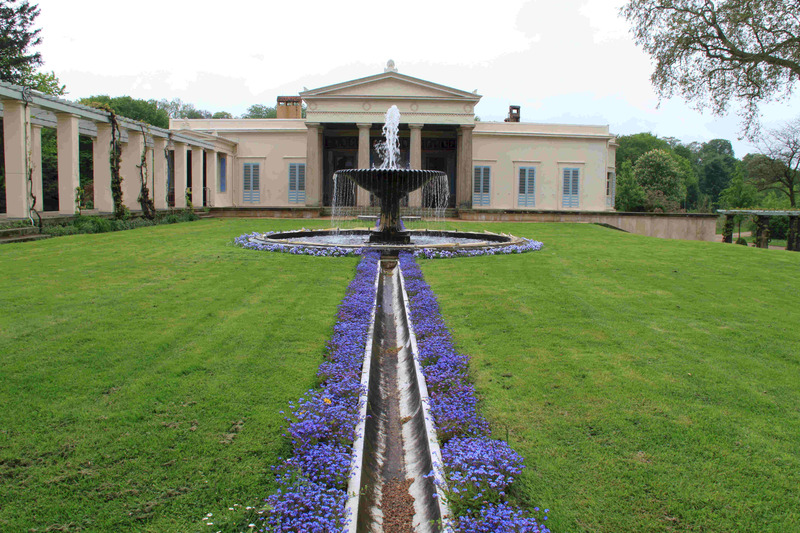 They flank the palace and open the alley up to rondels with the fountains, surrounded by marble statues. From there paths lead in a star pattern between tall hedges to further parts of the gardens.